For details regarding eligibility criteria, educational qualifications, experience, age limit, reservations, selection procedure, application fee, etc. 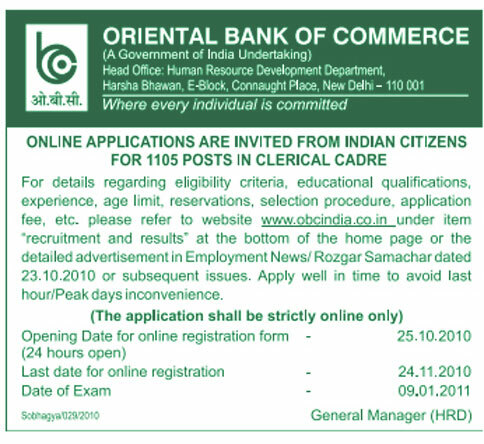 please refer to website www.obcindia.co.in under item "recruitment and results” at the bottom of the home page or the detailed advertisement in Employment News/ Rozgar Samachar dated 23.10.2010 or subsequent issues. Apply well in time to avoid last hour/Peak days inconvenience.